The most prestigious and recognized teacher training qualification accepted by employers around the world. Situated in the easily accessible Central Business District and only a 15 minute walk from the inspiring Sydney Harbour Bridge. Our center is in the vicinity of a host of modern facilities, shopping precincts, transport services and close to the magnificent Sydney Opera House overlooking the stunning harbour. Studying CELTA at our center simultaneously offers you the expertise to compete for the best jobs globally and an adventure you will never forget. Increase your prospects of higher education and job opportunities with our CELTA courses recognized by more than 20,000 universities, governments and employers worldwide. With our certification, you can increase your choices for work or study. Well known for its friendly and relaxed learning environment, Australia is the perfect place to complete your CELTA course and to open up extensive job opportunities, both locally in Australia's multi-cultural cities and globally. A minimum of 120 contact hours consisting of input sessions, interactive seminars, engaging lesson plans, speaking skills, listening, writing, grammar, pronunciation and classroom management techniques. Trainees will undertake 6 hours of teaching practise in a real classroom setting with actual students. These lessons will be assessed with helpful oral and written feedback to enable improvement. Tutors will be available to answer any questions. The Cambridge CELTA qualification is regulated by Ofqual at Level 5 on the Qualifications and Credit Framework and is given premium product endorsement by NEAS in Australia. Employers world-wide are actively searching for CELTA graduates. All of our tutors are highly skilled and experienced and will equip you with the necessary skills enabling you to teach for the first time or further develop your skills if you have previous teaching experience. CELTA comes in a 4 weeks full-time or 10 weeks part-time course format. Both courses follow the same syllabus and leads to the same internationally recognised CELTA certificate. There is no written final examination. Assessment is continuous and integrated, which means you will be assessed throughout the course through written assignments and assessed teaching practise. Our dedicated tutors work tirelessly to bring out the best in our trainees, nurturing highly successful and competent teachers. 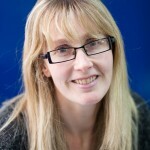 Jo Roberts is a senior trainer at IH for both the Cambridge CELTA and CERT IV TESOL courses and holds a BA (Hons) in Russian and German, PGCE/PCET in ESOL and the CERT IV TAE. 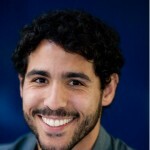 Lucas Chiusoli is the ELICOS and Teacher Training Assistant Director of Studies at IH Sydney as well as a senior trainer and coordinator for the TESOL courses. 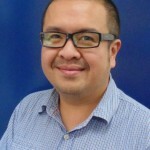 Yulianto Lukito is a senior trainer holding a Master’s in Applied Linguistics, M.A. in TESOL, Cambridge DELTA and CELTA, Cert IV in TESOL and Cert IV in TAE. With the ever growing demand for English teachers around the world, our CELTA certificate will give you "the edge" required to compete with others in the international job market arena. CELTA is the most desired and highly valued teacher training qualification sought after by most employers and schools around the world. Enjoy your weekends visiting the beaches, watching the dolphins, take a hike over the blue mountains or get energised by the night life. With CELTA, successful trainees may progress onto applying for DELTA or for Recognition of Prior Learning (RPL) towards Certificate IV in TESOL. Our CELTA course requires no previous experience in teaching. We provide the best training, practical sessions and comprehensively assessed teaching preparation, to launch or enhance your teaching career.